The timing of this post is right. I have some dear friends headed to New Orleans next week and I thought it was only right to go back into my archives for this week’s pizza extravaganza! I love this city, I love the energy, the people, the outdoor festivals and parties, bars, restaurants, people watching, sight-seeing, and everything in between. I know I just used a lot of similar narratives but so be it. I am getting emotional looking back and photos and writing today’s post. After a quick ride from the airport and dropping my bags off my room, I was not about staying inside whatsoever. I never had that much of a set plan while I was there except for maybe trying a few pizzerias. It only seems right for changing the geography of this blog when I can. 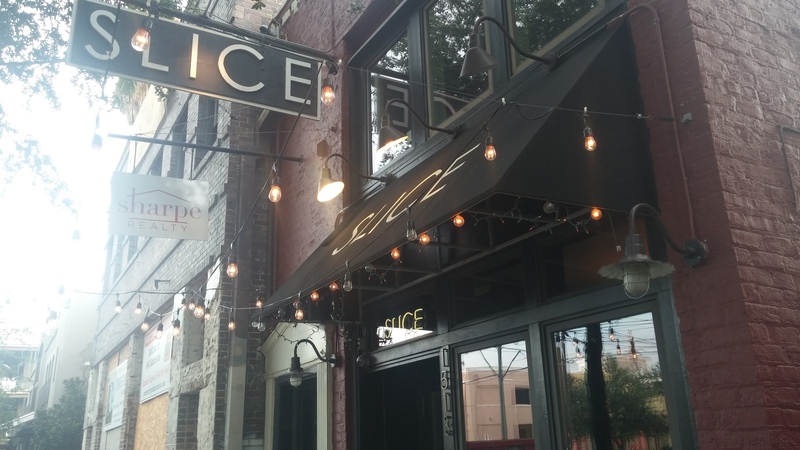 I wrote about an incredible spot back in July and I’m grateful to be writing about Slice Pizzeria in the beautiful St. Charles neighborhood. This was actually planned. Sometimes they do come together. My room was just minutes away. When I arrived here I got goose bumps. I’m getting goose bump and chills now. A few friends had suggested this place to me and I’m all for fun places to go along with wherever random and unexpected turns I make in my travels. I knew I was in good for a great day and great visit. The inside is so laid-back and so charming. There were a few regulars and enjoying their food and their cold ones. It felt so right and a nice start before I did more of the touristy stuff. 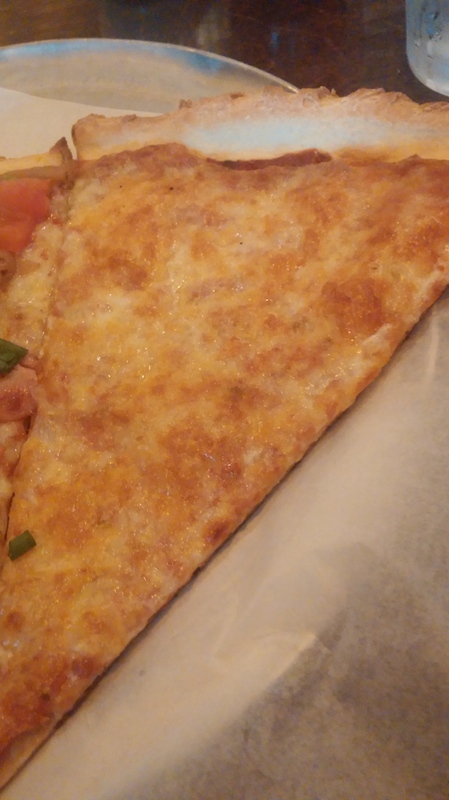 First up, in typical vacation fashion, I ordered a cheese slice. The crust on all of these is perfectly cooked and a bit crunchy. That’s a good thing. 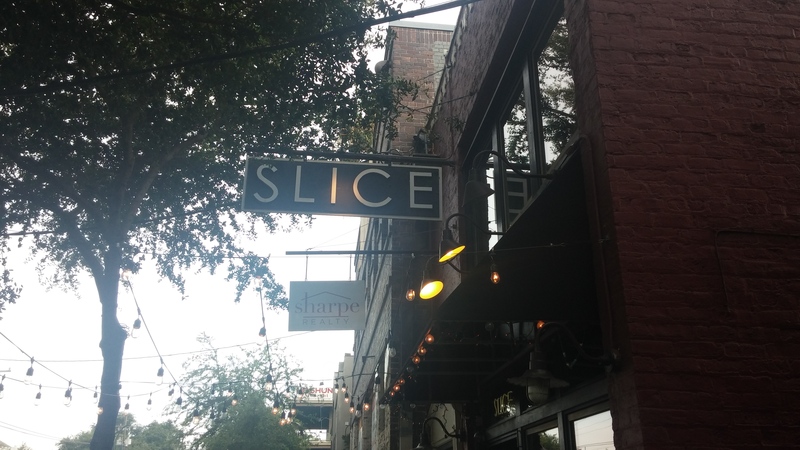 The slices were crisp and thin so I never got bloated. And that’s good because I would be over-indulging for the majority of the trip shortly thereafter. I think the cheese was solid but I wasn’t blown away by it. It was enjoyable but nothing out-of-the-ordinary. However, at $2.75, it’s very reasonably priced. That was a pleasant treat. After that slow start I got a bit more ambitious. The menu had a nice breakdown of pies between Classic, Signature, and Native. I think that’s a wonderful touch. Next was the Sportman’s Paradise. We had a lot of moving parts on this one. The shrimp and sausage mixed together definitely gave it some power. I had to pick some of the pieces off just to see how they tasted on their own. And they were brilliant. In my honest opinion, having the onions, peppers, and tomatoes might have been a bit much. Don’t get me wrong, this was another good pizza but I think there may have been one or two toppings too many. Sometimes less is more and that’s what I felt here. 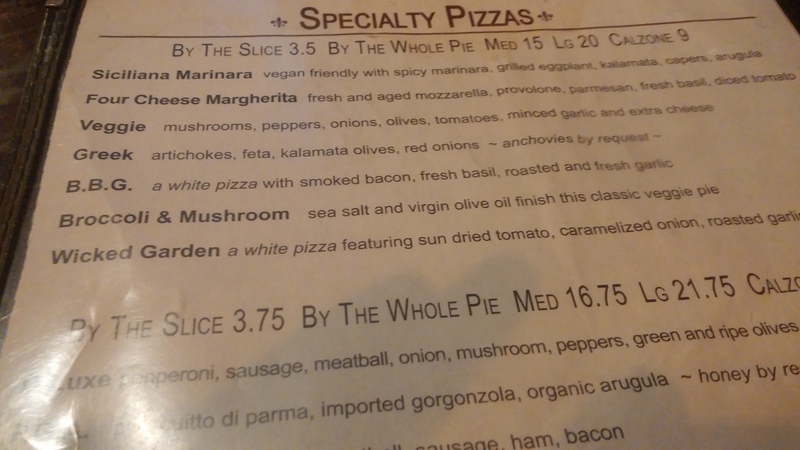 But how can you complain at $4.25 a slice. This was worth that. 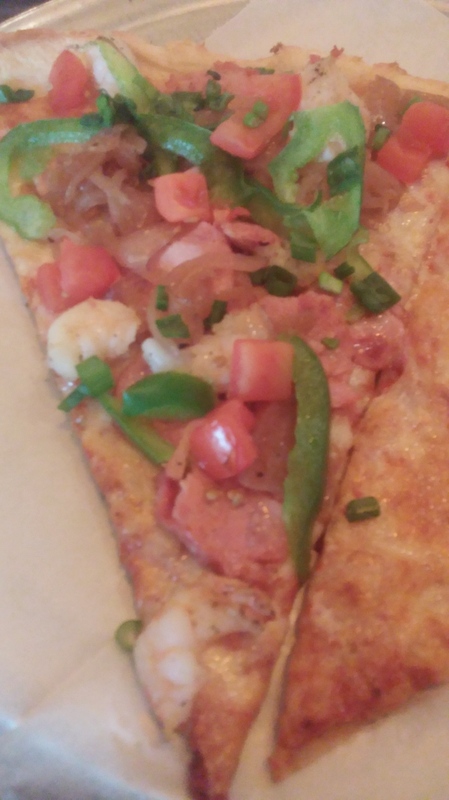 I just think this slice could be incredible as opposed to just really good. 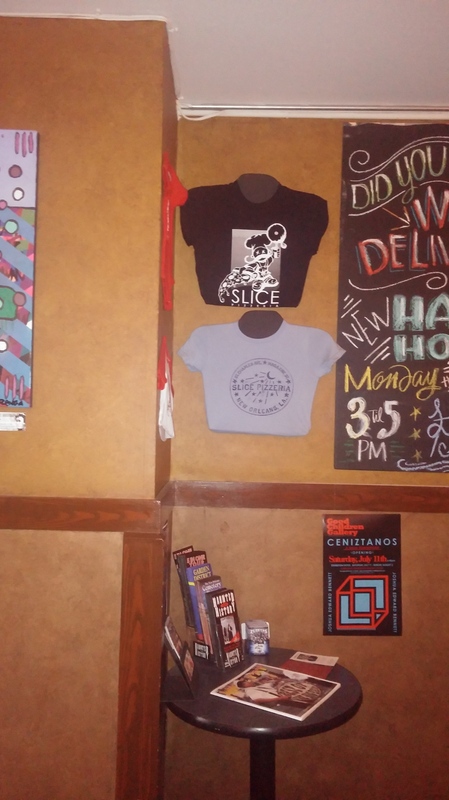 So I ordered those two slices together and usually I’d be done at this point. But I’m in a different universe. It’s time to get ambitious and inspired. And this final slice I ordered is exactly that. 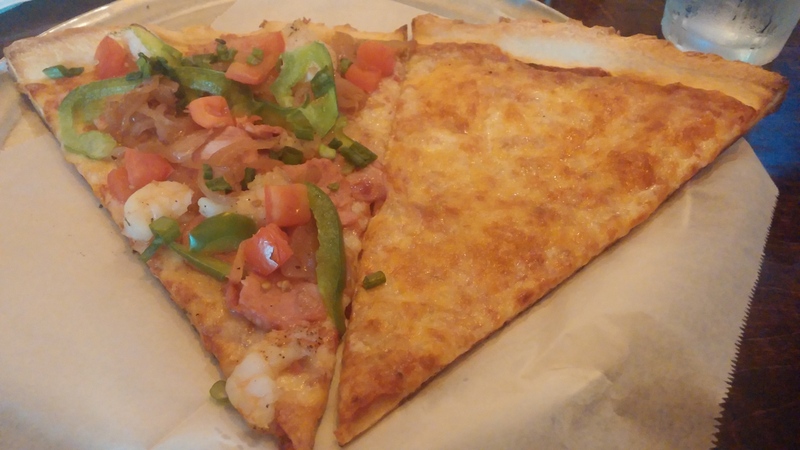 The B.B.G., which is short for Bacon, Basil, and Garlic is one of those slices I still think about. Maybe that saving the best for last and the third time is a charm cliché applies here. I can’t rave about this one enough. This is how less is more and how every topping really means something here. I wish I had ordered a pie of this. This was heavenly, divine, cosmic, metaphysical, and out-of-this-world. And at $3.50 I felt like I was stealing from them. 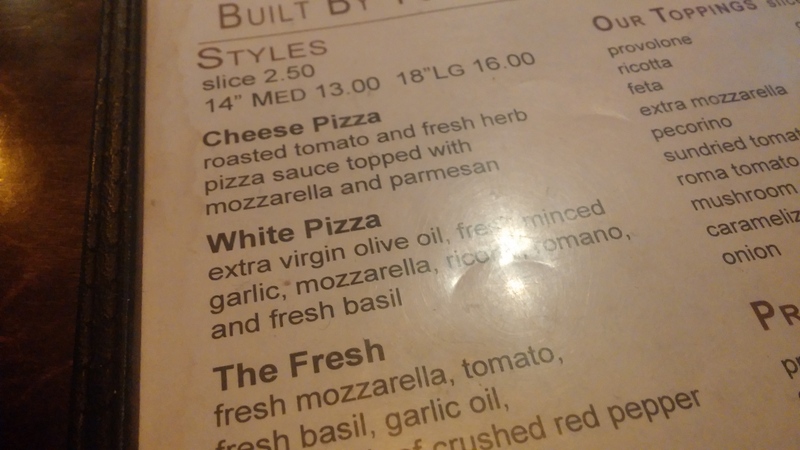 We all know how amazing white pizza is. But these simple additions really make this something to behold. 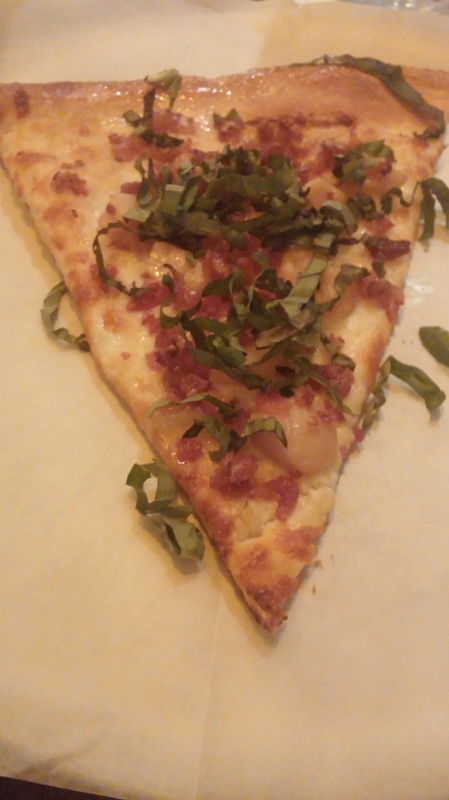 The garlic, bacon, and that fresh basil thrown on top is pure eye-candy. It was almost too beautiful to eat. Thankfully I saved a photo. And you know I’m going to enjoy some vino with my meal. This is how I will always remember how I started my vacation. And knowing who I am, this was perfect. I am missing this amazing city as I write all this. It’s only been four months but I’m feeling incredibly nostalgic and yearning to go back. 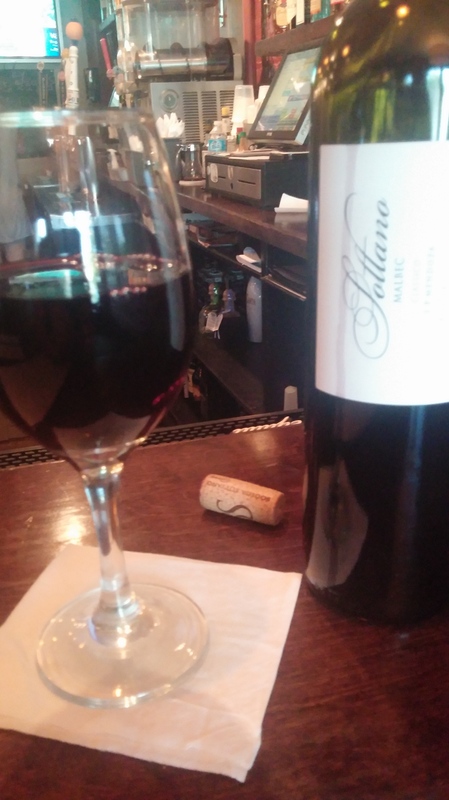 The bartender was very friendly and this made the experience all that much better. There will be more NOLA posts to come. When the timing feels right. This feels right.